Revo uninstaller is one of the best uninstaller application available in the market. It offers a feature limited free version and full pro version. This tool can remove the left overs after a software uninstall such as folders, files, registry values, shortcuts etc.. We have conducted giveaway of this product earlier you can read a review of this product here. Revo Uninstaller also includes junk file cleaner, browser cleaner, secure delete option etc. Here comes a complete backup software for your PC which can back files, Folders, Emails, Websites if you have FTP access, Browser settings to a wide variety of storage devices such as HDD, DVD, External Drives, Remote backup service etc. You must install a backup software on your PC and schedule it to backup your critical files. 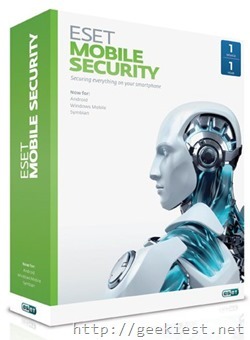 Earlier we conducted a giveaway of ESET Smart security 8 full version licenses, now here is a chance to Win a Eset Antivirus license for your PC. 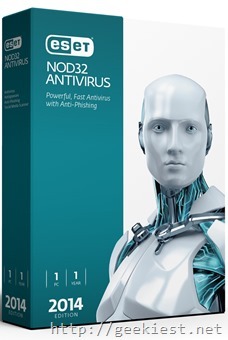 It is a combination of Antivirus, anti-malware and anti-spyware which can give you the basic protection needed for your computer. This key is for India only. Leave a comment on which are the product you interested and the link you shared in on social media. We wish you share this giveaway maximum with your friends on social media. We appreciate your efforts.